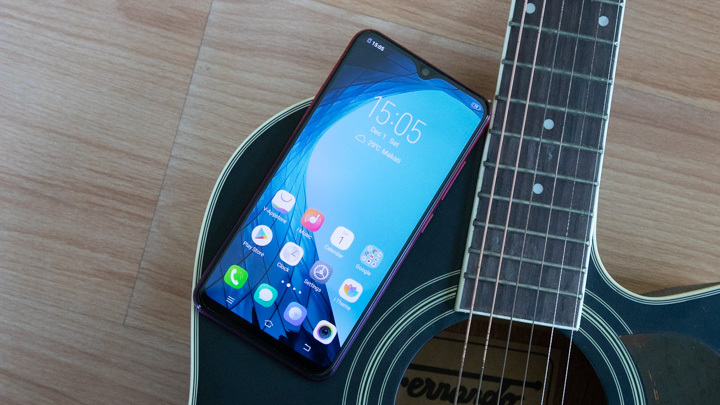 Just when you thought that the new smartphone releases from VIVO are over for this year, that’s when they silently launched a new lower mid-range smartphone called the Y95. We previously made an unboxing and hands-on video but this time, I took this device for a full spin and see if it’s worth the purchase. Let’s start! The Y95 is one of the smartphones that you can call “stylish” and premium thanks to its 3 color variants. The one that I have is the Aurora Red which covers the back with a Red color on top while slowly turning into a purple shade at the bottom. The back panel is made up of a smooth and glossy polycarbonate material which is prone to fingerprint marks and smudges. 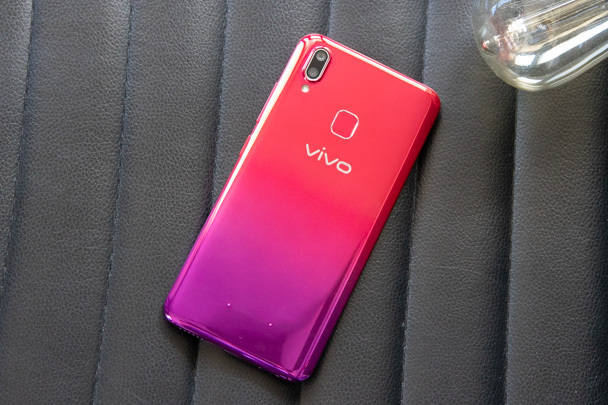 At the front is the 6.22-inch display with the same notch design as the VIVO V11 that houses the 20-megapixel shooter. Looking slightly above it is the call speaker which also serves as the secondary loudspeaker of the device. 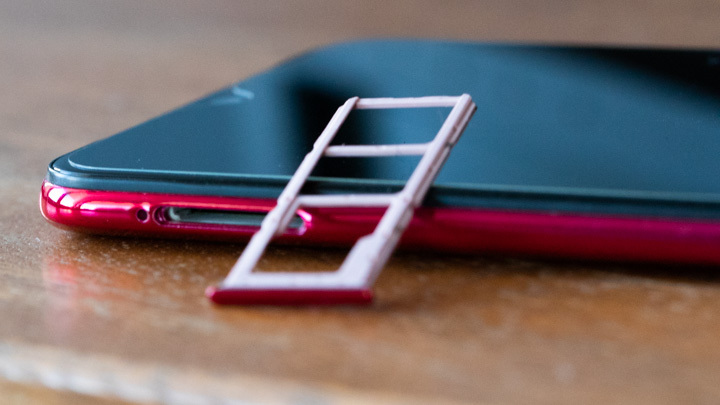 On the left is the tray that houses the dual-SIM card slot and a dedicated microSD card slot. 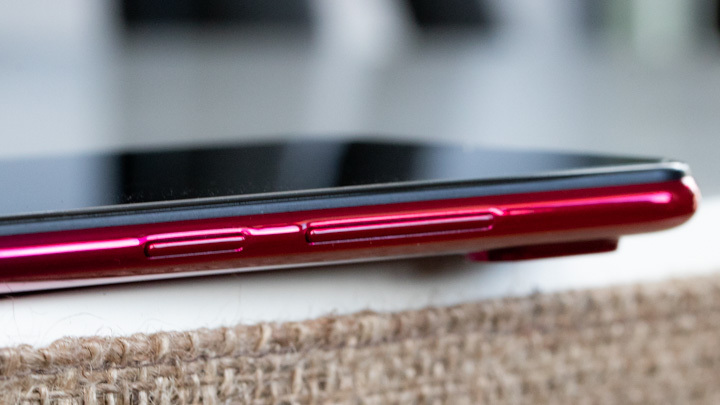 You will find the usual volume rocker – power button pairing on the right which is pretty standard for smartphones ever since. The buttons are clicky and tactile while their positions are just right for my thumbs to reach in. You won’t find anything at the top which, by the way, makes the device look clean and simplistic. At the bottom, however, you will find the 3.5mm audio port, micro USB slot, microphone, and the main loudspeaker. 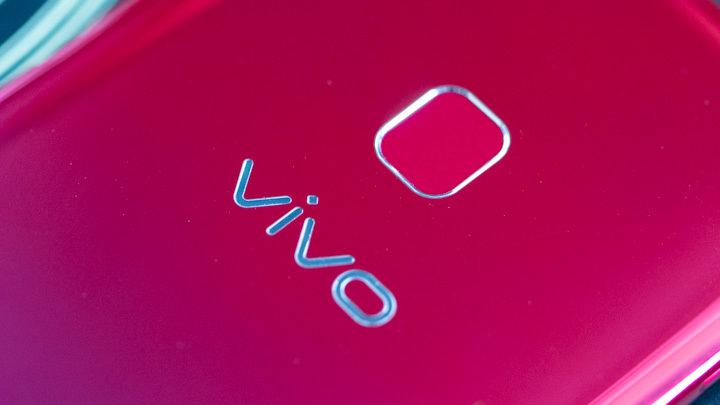 Flip on its back and you’ll see the dual 13MP + 2MP cameras, fingerprint scanner, VIVO logo, and two unusual elevated dots found at the bottom with a “Designed by VIVO” text between them. I didn’t have problems with holding the device as it is big enough to not fall off easily even if its back is smooth. 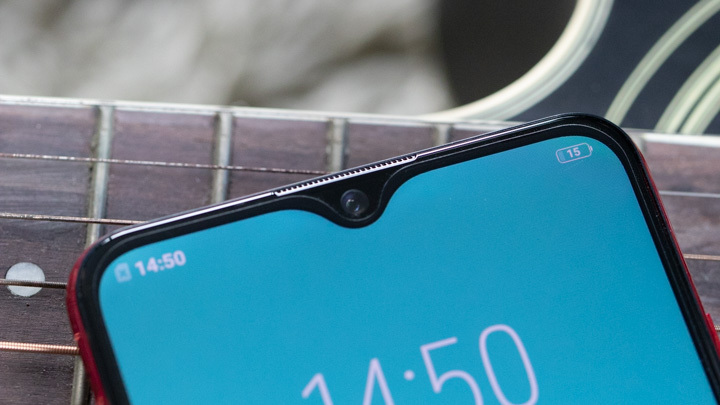 The device really feels solid and premium even for a polycarbonate material because, for a moment, I thought the chassis is made up of aluminum. One issue that I had with glossy back panels, as always, is it is prone to fingerprint marks and smudges. Good thing that VIVO provided the retail box with a free clear jelly case to remedy the problem. The Y95 is equipped with a 6.22-inch HD+ display with 1520 x 720 resolution. 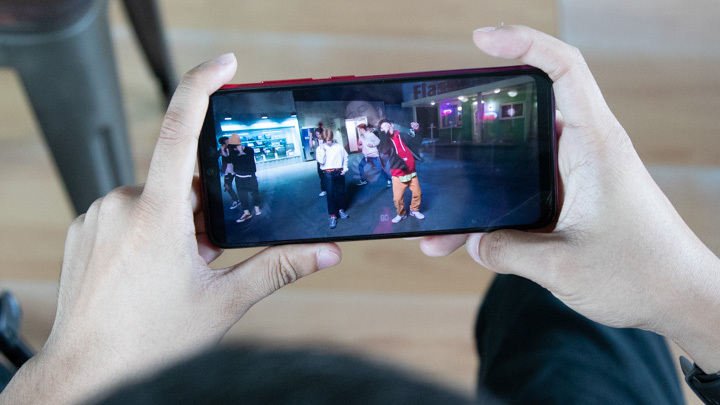 This could already be a deal breaker for users who are fond of watching higher-resolution videos and playing games given that this phone is a bit pricey. Colors, however, are still accurate and vibrant with good viewing angles. I can still use this device even when I’m using it under direct sunlight. With just at least 70% brightness, I can already see the display clearly without any problems. Its sound quality is pretty decent as it is loud and crisp. Highs and mids are present but the lows are close to being non-existent which is fine since we do not really expect most of the smartphones to have this. The audio is loud enough to be heard in a room full of people which is a plus. 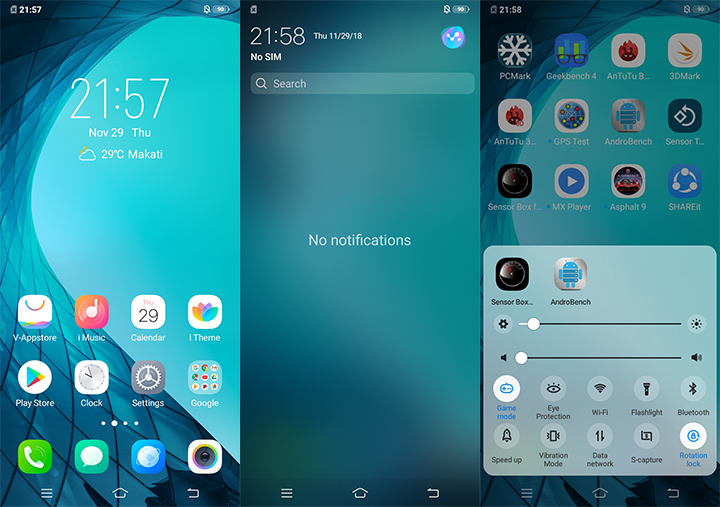 The Y95 runs on FunTouch OS 4.5 based on Android 8.1 Oreo. The user interface could be confusing when you try it for the first time since it uses a different navigation gesture when accessing the shortcuts bar. Normally, you would swipe from top to bottom but for this UI, only the notifications bar will appear. Sliding from bottom to top, on the other hand, will show the shortcuts and toggles. Other features include the Jovi AI, AI Game Mode, Smart Motion, Smart Mirroring, and Smart Split. Out of the 64GB storage, there are 50.3GB free for your own consumption. 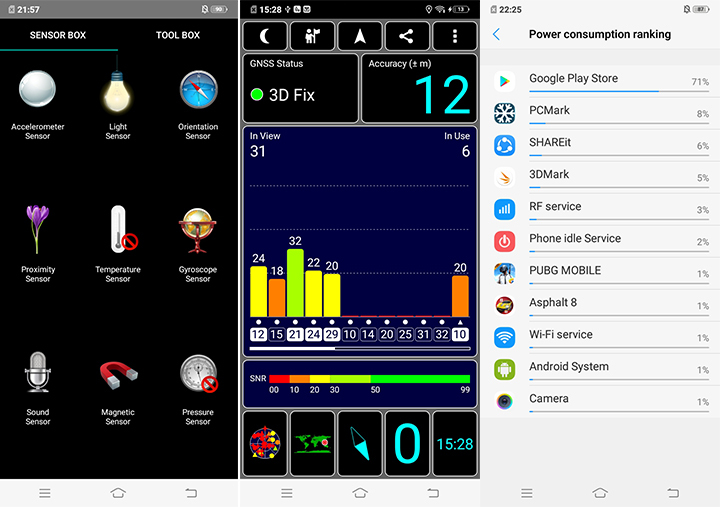 Pre-installed apps include V-Appstore, i Music, i Theme, i Manager, vivoCloud, EasyShare, vivo.com, kids mode, WPS Office, Lazada, Feedback, Facebook, and the usual Google applications. To me, that’s a lot of bloatware and is quite unnecessary for my type of usage. 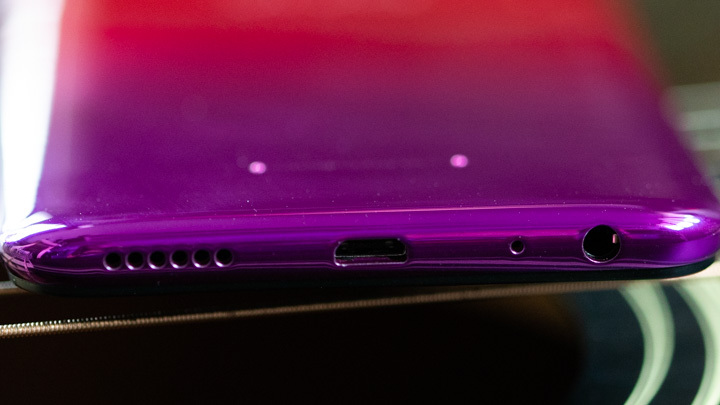 The VIVO Y95’s camera UI is straightforward as you will see almost all the options and features upon opening the Camera function. 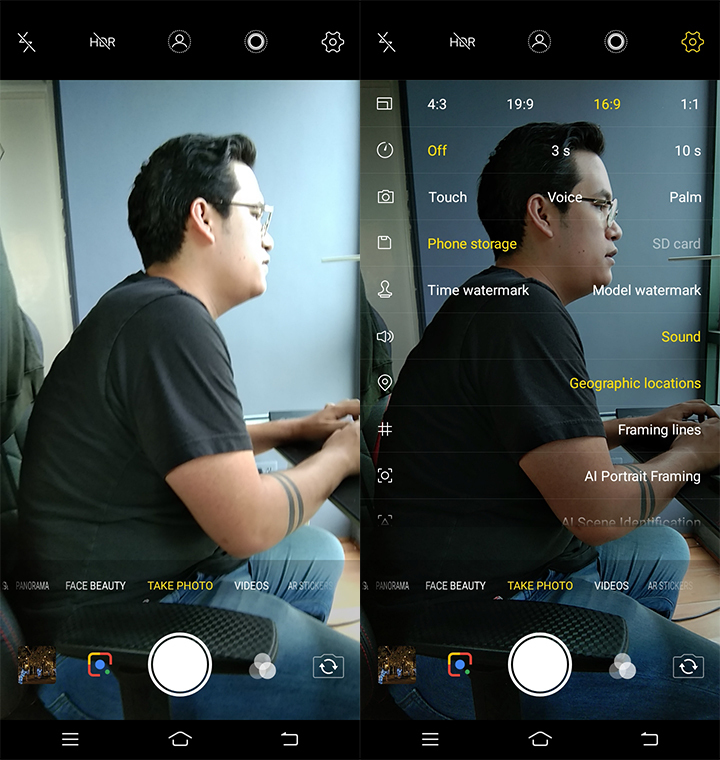 At the top, you will see the flash, HDR, portrait, Bokeh, and Settings while further down are modes such as DOC, Professional, Panorama, Face Beauty, Photo, Video, and AR Sticker. Photos produced by the rear shooters are good under good lighting conditions. Colors are accurate and the quality is decent but it degrades when I tried shooting under low-light conditions. I noticed that the live view is blurry and muddy but after taking a shot, the image will be post-processed by the phone’s AI technology which gives a better quality but the lights are still blown-out. Check them out. The front shooter has the same story as with the rear but it has a more enhanced quality under good lighting. Photos are also usable for social media posts even at low-light conditions which we expected as VIVO is known for their selfie-centric phones. The Y95 can shoot videos at up to 1080p and 30 frames per second. As seen below, the quality is good but it’s shaky which indicates that it doesn’t have video stabilization. For its price, the Y95 powered by a new Snapdragon 439 chipset, 4GB RAM, and Adreno 505 GPU is pretty much an imbalance in performance if you’d ask me. Simple tasks such as social media browsing, file transferring, navigating, and video streaming wouldn’t be a problem. 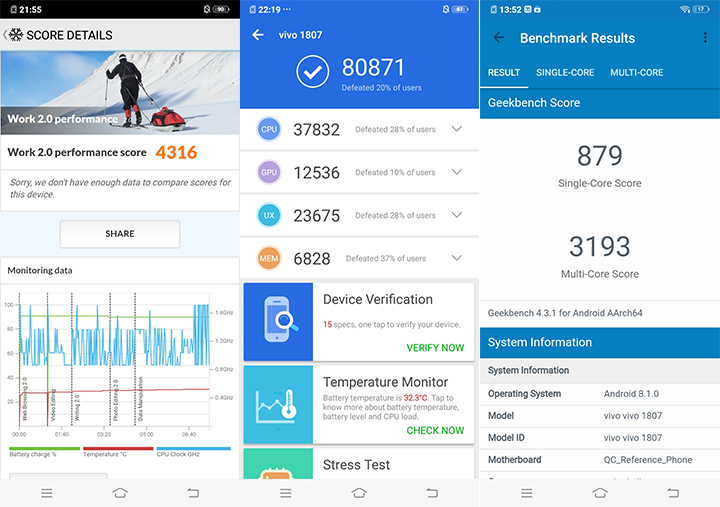 When it comes to multi-tasking and running heavy performing apps, on the other hand, expect that the bottleneck would be in the processor. 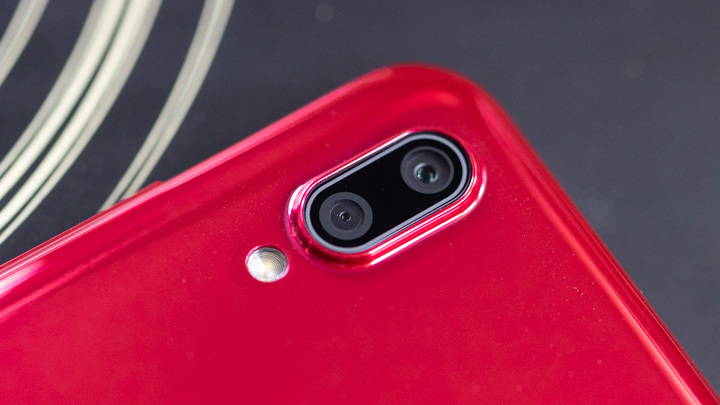 For the fingerprint and face unlock features, the device takes around 0.5 seconds just to unlock which is slightly slower than the ones that I’ve reviewed in this price range. 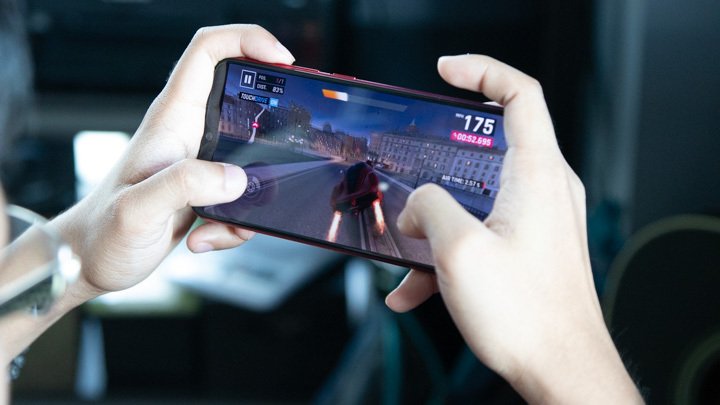 Playing games such as Asphalt 9: Legends will result in frame drops leading to a laggy gaming experience. Mobile Legends and PUBG Mobile shouldn’t be a problem in terms of FPS though. I felt little warmth at the back part when I played but not to a point where it’s uncomfortable in my hand. The Y95 comes with standard connectivity features such as 4G LTE, Wi-Fi, Bluetooth, and GPS. I didn’t have problems with using navigation apps such as Waze, Grab, and Google Maps as they have a pretty good position accuracy. The call quality is loud and clear but the call speaker is slightly off where I usually place my ears so it’s kinda awkward when answering phone calls. It comes with a 4,030mAh battery which is decent in terms of capacity. We tried to test the device on PC Mark’s battery test but it failed when it tried to calculate the final yielded time of the device. For the video loop test (1080p movie, 50% sound, 50% brightness, w/ earphones, and Airplane mode), on the other hand, The Y95 lasted for 18 Hours and 5 Minutes which is impressive and understandable given that the display is only 720p. The Y95 has a stylish design with its gradient color combinations which will certainly attract consumers of all ages. It has a large screen with a large RAM with long battery life. The downside, however, is it only has a 720p display and can only play games at light-to-moderate graphics smoothly. It is priced at PHP 13,999 which I think is too expensive given that it only has an entry-level chipset. In this price segment, I’d rather go for the VIVO V9 with a better performance for PHP 14,499. 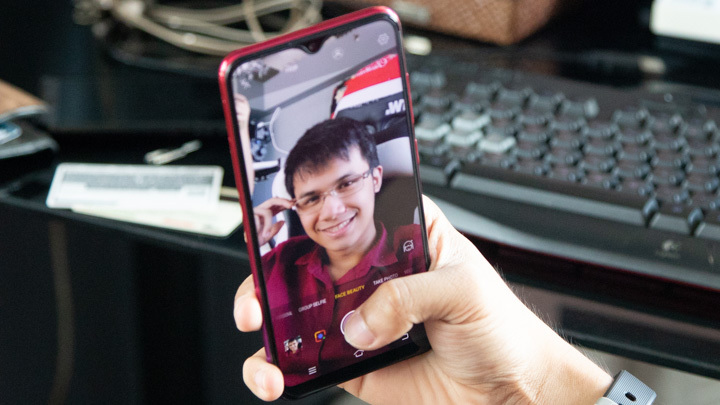 The post VIVO Y95 Review appeared first on YugaTech | Philippines Tech News & Reviews. 911PH	| All Rights Reserved.